Nextbigfuture has interviewed Ryan Weed, CEO of Positron Dynamics. Positron Dynamics is developing antimatter catalyzed fusion propulsion which they will first demonstrate in a cubesat launch. They are getting around the still mostly unsolved difficulties of storing antimatter. They are doing this by using Sodium 22 isotopes. Positron Dynamics has previously received a lot of press coverage when it was funded by the Thiel Breakthrough foundation to work on antimatter. 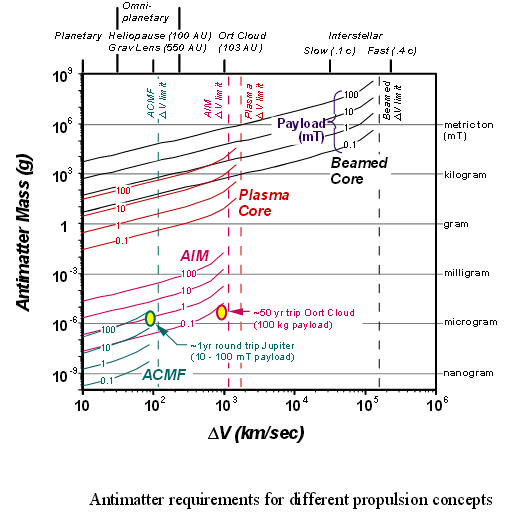 Last year the Positron Dynamics plan was to fly an antimatter cubesat in 2019 and they are still on track towards that goal. Sodium (22Na) emits a proton makes a beta decay which then generates positron Sodium 22 has a half-life of 2.605 years. Positron Dynamics has a 2014 patent for semiconductor structures that moderate positrons. 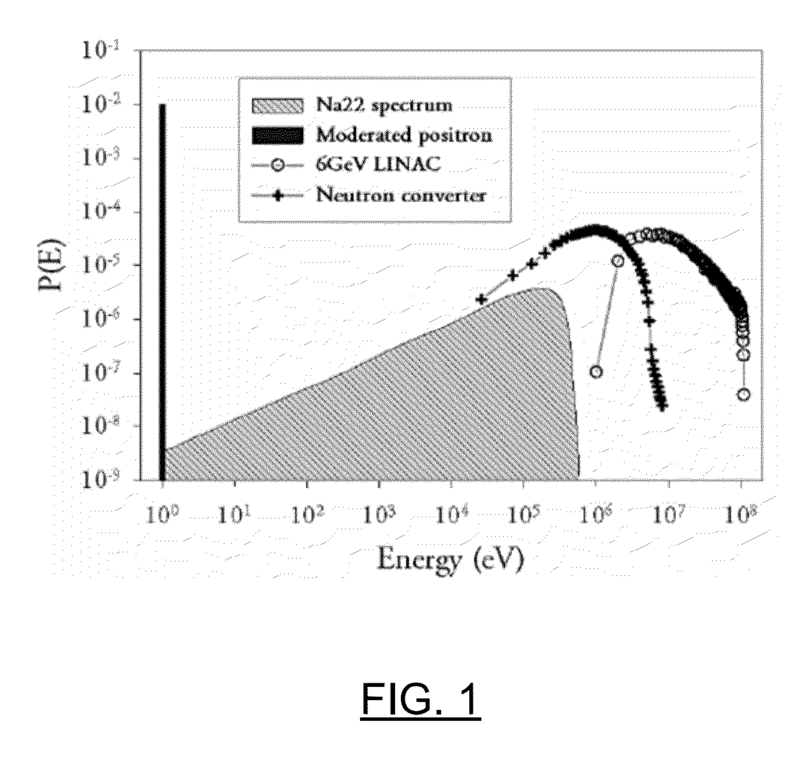 Abstract of Positron Dynamics Patent Apparatuses and methods for the moderation of positrons are provided herein. 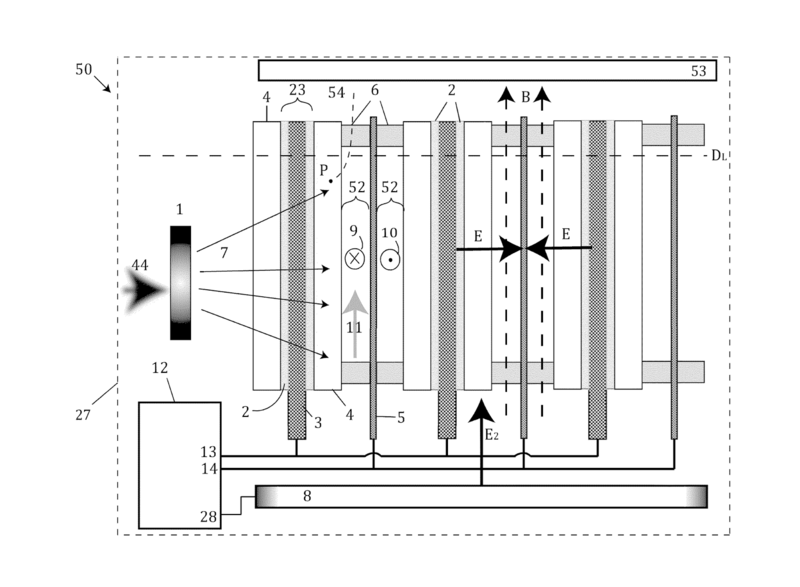 The apparatus may include a structure consisting of linear arrays of electrode and semiconductor structures of generally planar or cylindrical form with vacuum gaps between each element electrode. This structure may be contained within a vacuum chamber. 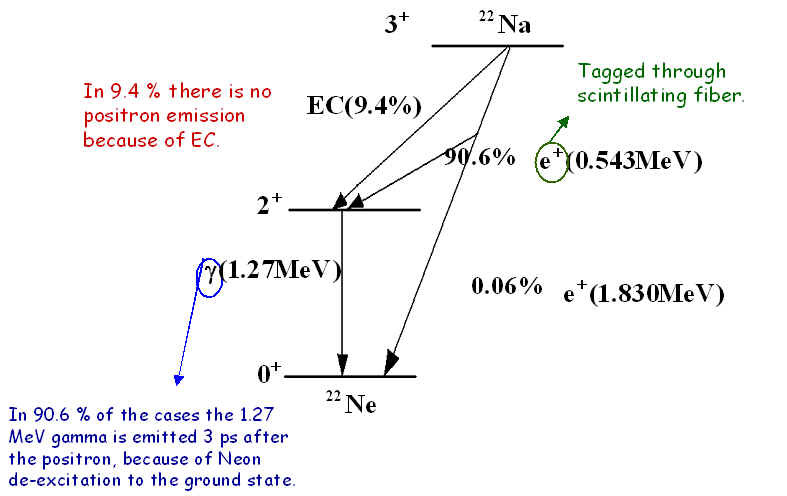 The positron source may be positioned adjacent to the moderator structure or the electrodes may act as the positron source by pair production through bombardment of high energy photons, electrons, or neutrons. Positrons from this source may be implanted into the moderator material and drift to the moderator surfaces through the influence of the electric fields produced by the electrodes. Positrons may be emitted from the surfaces of the moderator material and may be confined by orthogonal electric and magnetic fields while they drift out from the vacuum gap between cathodes and anodes for extraction. Currently, the most intense source of positrons in the world produces 10^9 cold positrons per second. At this production rate, it would take over 10 million years to accumulate a milligram of positrons. In order to realize these newer concepts, a much more intense source of positrons must be developed. Radioactive sources of positrons produce the lowest average energy positrons of any production method, although they are limited in their maximum intensity. Typical radioactive sources emit positrons with an energy distribution extending up to 1 MeV, while LINAC based positron sources have much higher positron energy distributions with average energies up to a few tens of a MeV. LINAC facilities obtain electron energies up to 6 GeV (Jefferson Lab) with currents of 200 μA giving a positron energy distribution shown in FIG. 1. These high electron energies cause the positrons to emit with corresponding high energies that limit the ability of moderators to capture and cool positrons. For example, for a typical radioactive source such as Na-22, around 90% of the positrons pass through the moderator un-cooled, 9% of the positrons annihilate in the bulk of the moderator, and up to 1% of the positrons are thermalized and are emitted from the surface due to the negative work function of the moderator material (up to several eV). On the other hand, for a LINAC source with much higher positron production rate and an average positron energy over 5 MeV, the fraction of moderated positrons drops to 10^−6. The challenge with solid positron moderators is to minimize losses due to annihilations in the bulk of the solid moderator, while still having a thick enough structure to thermalize a significant portion of the positrons. Thus, an optimal thickness is arrived at for most traditional thin film moderators in the range of a few microns. The efficiency of modern positron moderators is currently limited by the short diffusion length of positrons inside the bulk, typically a few or tens of nanometers. In the presence of an electric field, however, positrons will gain a drift velocity in the direction of the field, increasing their diffusion length. This technique is referred to as field assisted moderation (FAM). FAM has been used to increase positron diffusion length in a diamond thin film by applying a potential to a deposited gold mesh. While this method has previously demonstrated the enhanced mobility of positrons in an electric field, efficiency was decreased due to enhanced annihilation at the deposited gold mesh lines. FAM has also been demonstrated in frozen rare-gases and in wide band-gap semiconductor materials by surface charging via electron bombardment, although the method is limited by the absolute magnitude of electric field that can be applied. They have worked on the seimconductor structures to moderate the positrons and slow them down and enable useful work to be performed with it. They have a pulsed laser and are analyzing the positrons. the initial cubesat propulsion will have low power levels but will have ISP of 100,000 to 1 million. This will be superior to existing and planned ion drive propulsion. 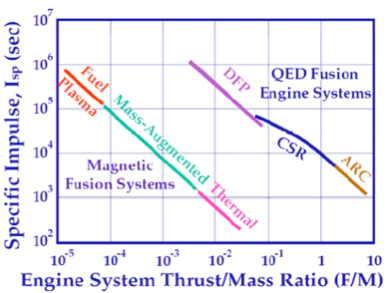 NASA HiPEP (ion drive) system has 9600 (+/- 200) seconds of specific impulse. Australian lab work on the Neumann ion Drive has ISP as high as 14,690 (+/- 2000), with even conservative results performing well above NASA’s best. That suggests the drive is using fuel far more efficiently, allowing for it to operate for longer. Furthermore NASA’s HiPEP runs on Xenon gas, while the Neumann Drive can be powered on a number of different metals, the most efficient tested so far being magnesium. Ion drives only have a few tens of micronewtons per watt of propulsive force. The positron catalyzed fusion will have superior newtons per kw. Deuterium fusion also has the advantage that rockets can refuel with Deuterium by simply putting a heated wire into a mostly water ice asteroid and getting more water which will have some deuterium. The linear accelerator plan has been deferred because the higher cost and the challenges of storing antimatter. There is work at Washington state university to store antimatter in microtraps. In 2014, a paper described rogress toward a novel microtrap array with large length to radius aspect ratios and radii of the order of tens of microns. The proposed design consists of microtraps with substantially lower barrier potentials than conventional Penning-Malmberg traps arranged in parallel within a single magnet. Simulations showed positron plasma with 1E10 cm-3 density evolves toward a rigid-rotation phase in each microtrap while 10 V barriers confined the plasma axially. A trap of 4 cm length including more than 20,000 microtubes with 50 micron radii was fabricated and tested. Experiments conducted with electrons in a test structure addressing each microtube with a narrow beam will be described. This will explore the basic physics of the microtraps. Observed results were promising and they open a new avenue for manipulating high-density non-neutral plasmas. The microtrap works is currently mostly simulations.